Top Model Karolina Kurkova is on the cover story for the Alexa Magazine december 2017. 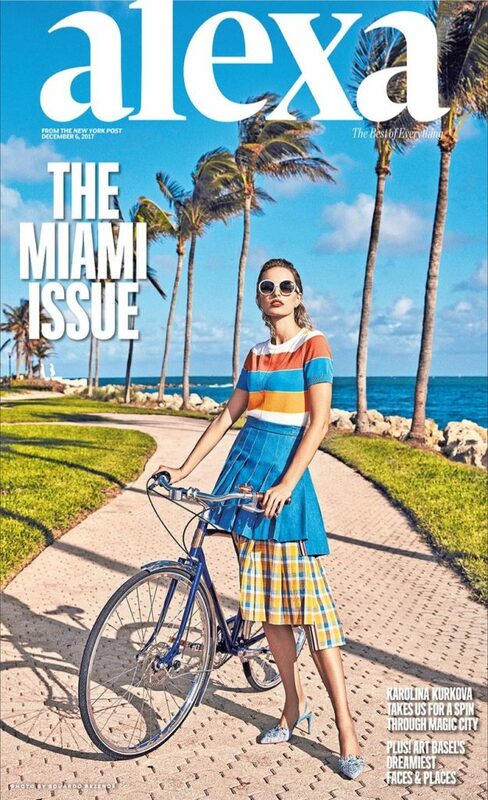 Karolina was photographed in Miami, Florida. for the December 6, 2017 cover of Alexa Magazine ( from The New York Post).Photographed by Eduardo Rezende, styled by Anahita Moussavian who dressed the beauty from Balmain, Milly to Altuzarra.